Wiloks International Food Stores has developed a cordial relationship with a variety of Financial establishments, and we (Wiloks) have continually ensure a fast and secure money transfer service for all of our new and present customers by providing them with a free choice of transfer method through our providers insured, reliable, and secured network systems. 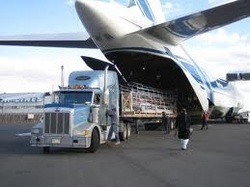 Find out more..
Wiloks International Air Freight is powered by the best sets of Airlines for every destination world wide. We (Wiloks) assure you that all your cargoes are securely packed and transported to the port for their different destinations. Thank you for visiting Wiloks International food stores based in Nottingham and our store branch in Derby. "Traditional Touch, Tinned food, and assorted cold Drinks". To find out more please follow the "stock list" link to view our entire stock list. We ensure that we update our stock list on a regular basis. You can contact us in a number of simple methods; by email, telephone and mobile, or by locating us by road using or location map on our contact us page. Check out our general product slide show presentation. Wiloks: Natural instincts guides our stoking ability ...We know your needs.